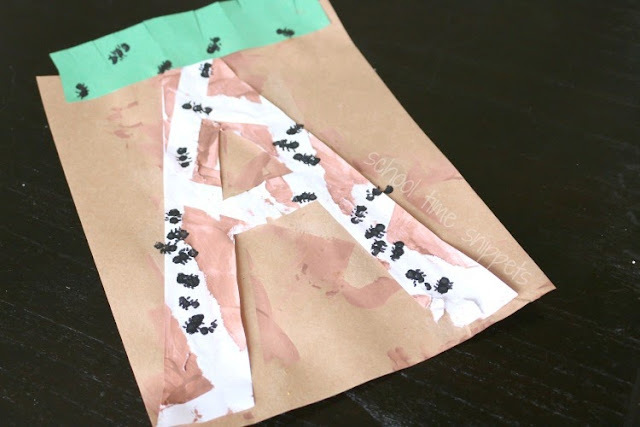 Learn about the Letter A with this Ant and Anthill Craft! 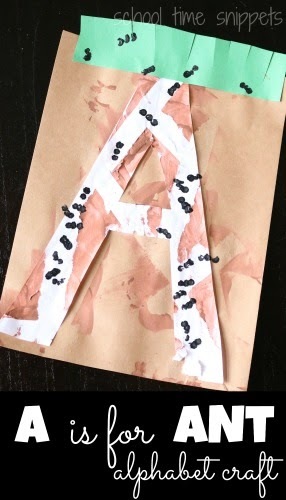 This alphabet craft is a fun, hands-on way to teach letter identification! We are slowly crafting our way through the alphabet with Little Sis and today we are sharing our craft for the Letter A. This warmer weather has brought out all the little ants that had been underground for the winter thus our inspiration for our alphabet craft-- A is for Ant. Construction Paper-- brown and green. There may seem a lot involved in this alphabet craft, but it really does come together pretty quick. I presented Little Sis with a tray that had a brown sheet of construction paper, a green strip of construction paper, scissors, painter's tape, glue, and brown paint. I had Little Sis cut lines in the green construction paper to make grass while I prepped the Letter A with painter's tape. 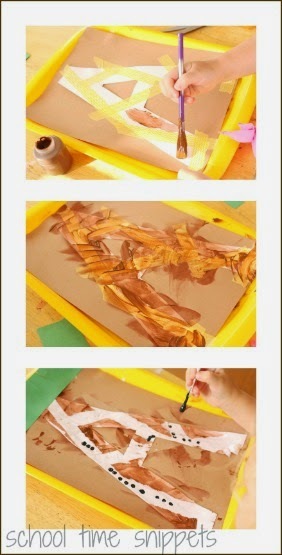 The idea was to use the painter's tape to create tape resist tunnels. Once the tunnels were tapped up, I encouraged Little Sis to paint all over the Letter A... and then some! Depending on how much paint there is, you may or may not have to let it dry before peeling off the tape. We didn't and just kept moving along. Next I had Little Sis create ants with black paint and a q-tip. Finally, we let everything dry and added it to our wall of alphabet crafts we have already completed! It turned out so cute! Thanks to Pink Stripey Socks for the inspiration to do a tape resist for this letter!